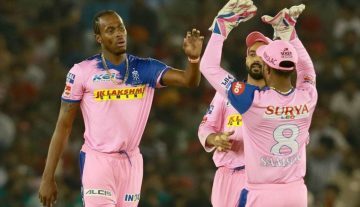 During the Eliminator of the 11th season of the Indian Premier League (IPL) between Kolkata Knight Riders (KKR) and Rajasthan Royals (RR) at Kolkata, Kolkata Knight Riders scored 169-7 in their allotted quota of 20 overs. Earlier Ajinkya Rahane, captain of Rajasthan Royals, had won the toss and chose to field. 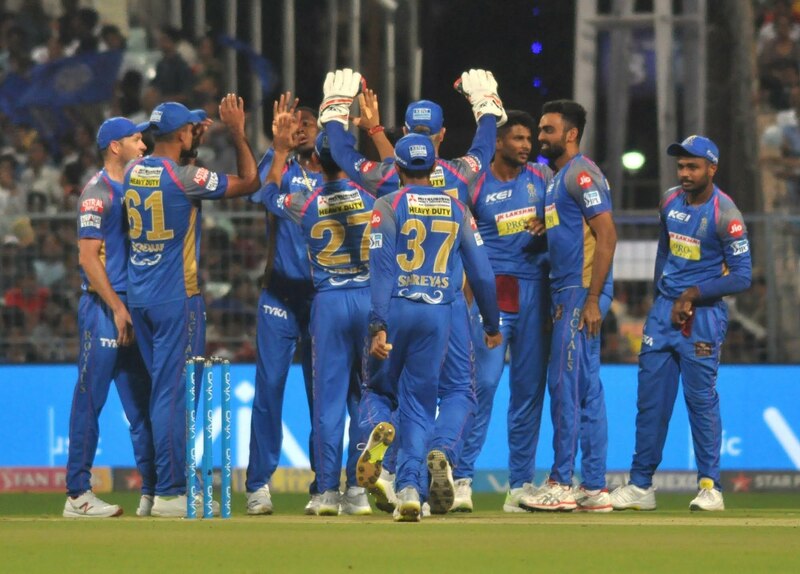 In a knock-out match, both the teams opted for not tinkering with their winning combination, fielding the same playing eleven. Krishnappa Gowtham made early inroads into the Knight Riders’ batting line-up. Opening the bowling for the visitors, he dismissed Sunil Narine and Robin Uthappa in his first two overs. At the end of the powerplay, the hosts were reeling at 46-3. All eyes were on the experienced pair Chris Lynn and Dinesh Karthik, who were battling it out in the middle. Trouble increased for them further when Shreyas Gopal sent back Lynn in the eight over. At the halfway mark, the Knight Riders had scored a below par 63-4. Karthik and Shubman Gill eased their nerves by stitching an impressive 55-run partnership. Gill was dismissed in the 15th over by Jofra Archer which brought Andre Russell in the middle. The flamboyant all-rounder got going form the word go which aided his team to post a handsome total. Karthik completed his 16th IPL half-century in the 17th over, a captain’s innings which came at a crucial juncture for his team. With bowling figures of 3-0-15-2, Gowtham was the pick of the bowlers for Rajasthan Royals. One thing I like about Eden Gardens is the name. So much more picturesque than naming stadiums after people. Andre Russell Really Showing them who’s Boss! These boundaries don’t want to stop! Incredible.